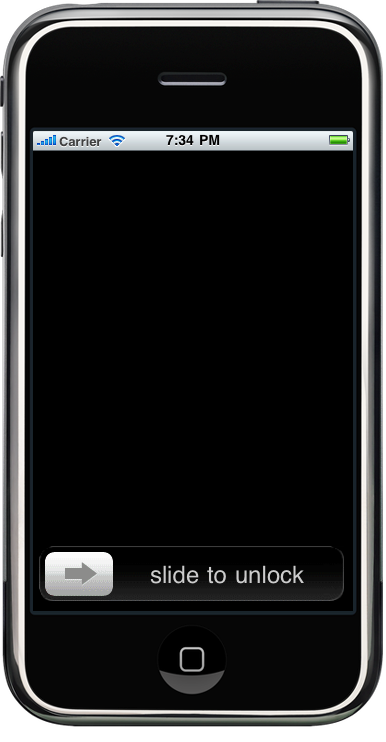 This is a simple tutorial to create "slide to unlock" feature. As you may have guessed, we have to use UISlider. UISlider is an awesome object for many purposes - adjusting parameters of an object, or values of anything (size, amount, etc). But this time we will use it as a "Unlock Key". This type of control is useful when you have an app doing something and the user then puts the iPhone in his pocket while the app is still running. If we just use a normal UIButton to unlock, the user could accidentally touched it while the phone is in the pocket, and unlocked the screen of the app, accidentally. This is the same application as the normal iPhone lock feature. The lockButton is just a control to enable you to enter the "Locked" status. Also we will be needing 3 methods to help us implementing the "Slide to Unlock" feature in our app. So, how do we go about implementing it. We need to think of the behaviour, of course. We want the user to slide the slider ball until the very end (right hand side), only then the screen be unlocked. Also, if the user slides half way or not until the very end, and let go (untouch) of the slider ball, we need to slide back the slider ball into initial position (value = 0, at the most left side). Translating that behaviour into code means: Since the behaviour depends on untouch action, therefore we will use the "Touch Up Inside" delegate of the UISlider. So we will connect the "Touch Up Inside" method to the UnLockIt method. You notice that we also declare a global variable of type BOOL to check the state of the lock. If the slider ball is at the most right, the value is 1.0 (this is the default max value of a UISlider, you can change in IB if you want), then execute the method to unlock it, in this example, just to hide the slider, label and so on and display the Lock button. If it is not reaching to the right side, then we use CoreAnimation to animate the auto sliding of the slider ball back to initial position of 0.0 (which is at the most left hand side). Note that I use the UIViewAnimationCurveEaseOut, this animation curve starts out very fast immediately and then slows down at the end. This is to make it similar to a spring reaction. especially if you changed the maximum value to other than 1.0. That's done with the behaviour of the slider. Now, what's left is just to customize the UISlider with custom slider ball. I also put a UIImageView (Container) at the back to align it nicely with the slider ball. You could also use the container image as the Slider's minimum and maximum track images. NOTE: Just a little note, the customizing of UISlider must be done at viewDidLoad, otherwise the slider won't be made custom for some reason. I'm new to xcode and loving your blog. Is there a way to group the slider, background and text together so they can be reference as one? eg. 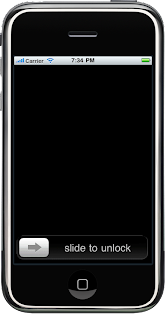 If I had several on the screen, I could say to hide slider(sender) and it'll know which UIImage and UILabel to hide too? Hello Darren, sorry I just saw your comment. Yes definitely you can group all of those objects inside a UIView. Set the UIView color to "clearColor" and you can just move the UIView around without rearranging all of the objects. Is there a way of using this slide feature to initiate an animation. e.g. Imagine if there was a padlock icon on the right hand side, and a key on the left hand side. I then slide from left to right and then the padlock icon would either open or do some other animation. to show that it has been unlocked. Is this possible? and how could I do this? that was a gud one !! could you plz post this too , hw to make a password protection to app?